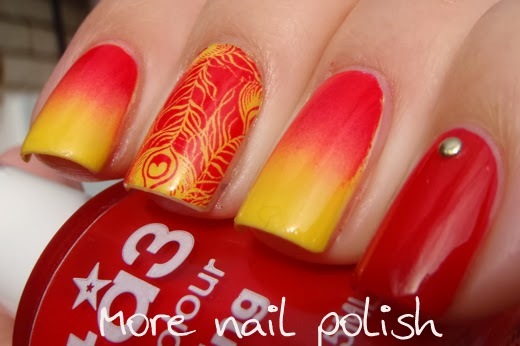 Now that Christmas its over, I'm pulling out some manis that I wore earlier this month. This one is a skittlette that I created using OPI Nail Apps. 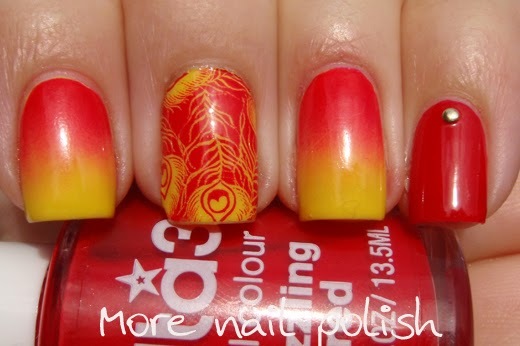 You can see the whole swatch and review here. After I had worn the full mani of the Nail Apps, I removed all the fingers except the middle and the thumb. 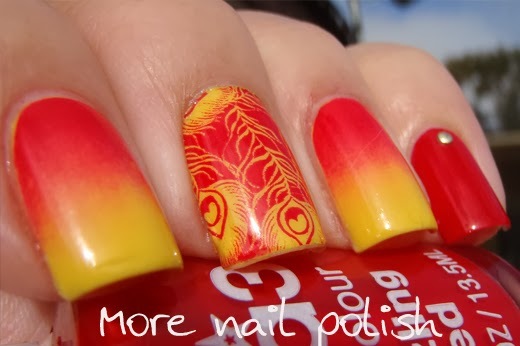 On my ring and index I did a simple two colour gradient using a base of Ulta3 Honolulu and sponged on with both honolulu and sizzling red. My pinky is just sizzling red with a little gold stud. 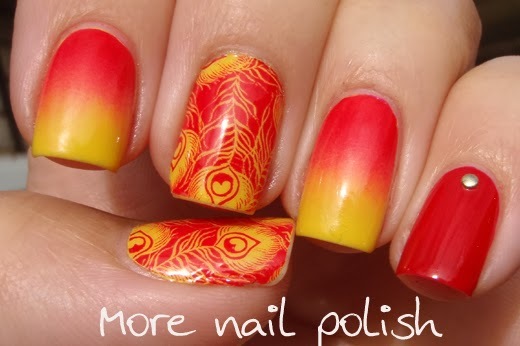 I really loved this 'tequila sunrise' gradient, the two colours blended so nicely together. I was also really happy with the colour match of the polishes I chose with the Nail App. You could really get the same look with a stamp too.